Marine 18k white gold pendant with an 11mm round Tahitian pearl. A piece of jewelry to last you a lifetime, remarkable by its simplicity and the beauty of the pearl. 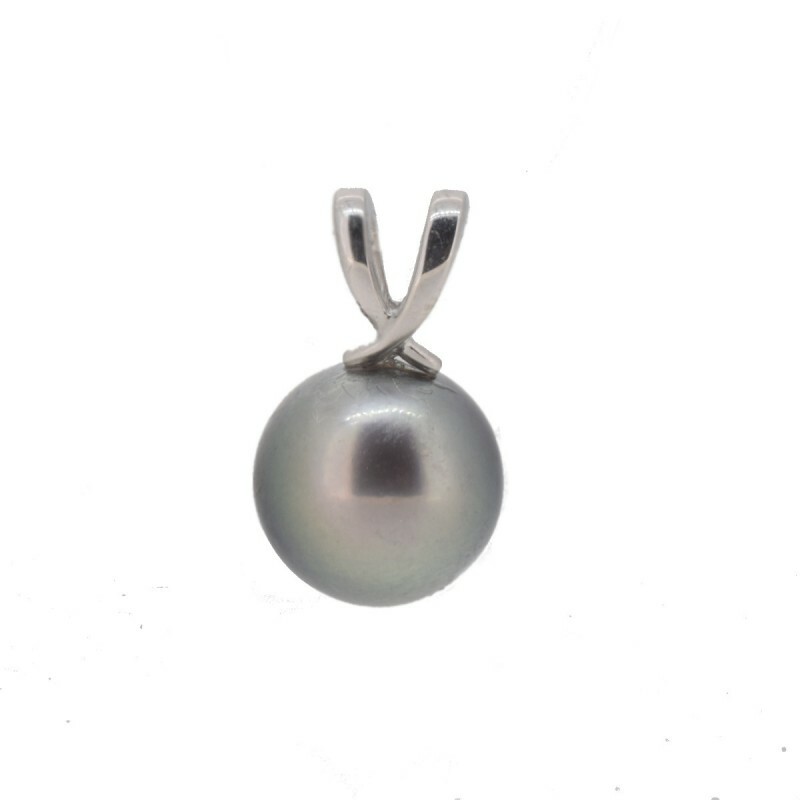 The pendant's V shape is associated with a grey 11-11.5mm round Tahitian pearl of AA+ quality. The Marina pendant is worn with a white gold chain, or can be worn with alternative, such as a a leather strand. By buying this product you can collect up to 42 loyalty points. Your cart will total 42 points that can be converted into a voucher of 12 €.